In the lead-up to the Hannover Messe 2019 industrial technology event next week, Microsoft released updates for many of its industry-focused products and services, all aimed at providing businesses with a path towards “Industry 4.0.” The paradigm would see artificial intelligence, mixed reality and automation leveraged to achieve “intelligent manufacturing,” the company explained in a blog post. 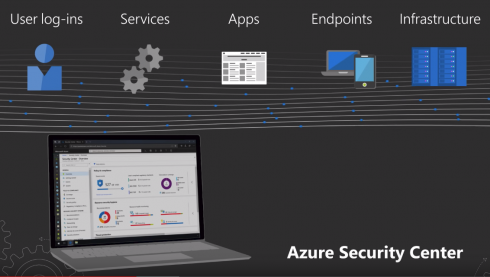 Microsoft has added advanced threat protection to three Azure services: Azure Security Center for IoT, security information and event management tool Azure Sentinel and IoT security monitoring integration Azure IoT Hub. “With Azure Security Center for IoT, customers can find missing security configurations across IOT devices, the edge and cloud. For example, they can check which ports are open on their IOT devices, confirm their SQL database is encrypted and act to remediate any issues,” Çağlayan Arkan, global lead of manufacturing and resources for industry at Microsoft, wrote in the post. In addition, Azure Industrial IoT Cloud Platform will receive new capabilities via the inclusion of OPC Twin and OPC Vault, which will “respectively provide manufacturers a digital twin of their OPC UA-enabled machines and significantly enhance security and certification management,” Arkan wrote. Azure IP Advantage to IoT will also provide a bump to the cloud platform by bringing IoT, Azure Sphere and Windows IoT devices under Azure IP Advantage, a safeguard against intellectual property risks. “We are now expanding the program to customers who are innovating in IoT and at the edge to do predictive maintenance, manage digital and physical assets, and improve overall efficiency, safety and quality of products—all of which create massive volumes of data and unique business innovations,” Arkan explained.